Even the title feels morbid. However, Losira is not the only character who “comes back wrong” over the course of the episode. Over the course of That Which Survives, the crew of the Enterprise are thrown throw space and find themselves racing to rescue Captain Kirk. However, mysterious malfunctions begin to affect the script. Eventually, Spock deduces the cause. “The Enterprise was put through a molecular transporter and reassembled slightly out of phase.” In other words, the Enterprise was taken apart and put back together wrong. This seems like as an apt a metaphor for the third season as any. Star Trek had been killed at the end of its second season, cancelled by NBC. The show was resurrected for a third season, although it did not return at full strength. Vital members of the production team departed the show. The budget was cut. An outside producer with no previous experience of working on the show was drafted. For many watching at home, there was a sense that the third season had changed. In some ways, Star Trek had come back wrong. Glen Morgan and James Wong famously pulled Millennium away from its “serial killer of the week” format in its second season. While the label might be a little harsh (and perhaps a little exaggerated), it did hint at a recurring formula in the first season. Frank Black would be called in to catch a serial killer with a unique and distinctive modus operandi. The first season was littered with episodes built around that core format, wildly varying in quality. For every Blood Relatives or Paper Dove, there was a Loin Like a Hunting Flame or Kingdom Come. The second season largely moved away from all that. Although Morgan and Wong occasionally made nods towards the classic format in episodes like Beware of the Dog, 19:19 or Goodbye Charlie, the second season of the show was a lot less formulaic and familiar. This is was a show that could transition from The Hand of St. Sebastian to Jose Chung’s “Doomsday Defense” to Midnight of the Century to Goodbye Charlie to Luminary. It seemed quite reasonable to suggest that the second season of Millennium was not as firmly attached to the concept of serial killers as the first season had been. This makes The Mikado a rather unique instalment, arriving a little past half-way through the season. Written by Michael R. Perry, The Mikado is very much an archetypal serial killer story. There is a case from Frank Black’s past, lots of victims, some occult imagery, and even a ticking plot. In fact, The Mikado is probably the only episode of the second season that would arguably fit more comfortably in either the first or third seasons of the show. All you’d have to do is write out the character of Roedecker. However, there is something decidedly big and bold about The Mikado. It is perhaps the most archetypal (and maybe the most successful) straight-down-the-middle “serial killer of the week” story that Millennium ever produced. After all, if you are only going to do produce one truly traditional “serial killer of the week” story in a season, you may as well go big. And you can’t go much bigger than the Zodiac. N.D.E. is a nice clever character-driven story, one that perhaps suggests a direction that John Rozum might have taken the monthly tie-in comic. Ten Thirteen had made it quite clear that they did not want long arcs or ambitious storytelling from their licensed comic books. They wanted reliable straight-down-the-middle storytelling, with none of the playful self-awareness and meta-narratives that drove Stefan Petrucha and Charles Adlard’s work on the title. As a result, the comic has been rather more conservative in approach since John Rozum took over. His time on the title has not produced anything as cynical or grim as One Player Only or Home of the Brave. While Rozum is undoubtedly limited by constraints imposed by Ten Thirteen, there is something disappointing about his run on the comic. Rozum has tended to favour done-in-one stories, single issue adventures that wrap up everything quite neatly within twenty-four pages. Rozum has grown quite efficient at this, but there is little room for nuance in stories like The Kanishibari, Silver Lining, Crop Duster or Soma. Rozum’s stories tend to work better when stretched out a little, with Be Prepared and Remote Control allowing room for nice character moments. N.D.E. is another two-part story that takes advantage of that additional space to tell a story about Scully. N.D.E. has a fascinating central idea, and a number of clever twists, but it also allows room to explore Scully’s character and philosophy in more depth than the comic has really afforded her. N.D.E. is perhaps a bit clunkier than Be Prepared or Remote Control, but it is the strongest story of Rozum’s final year on the title. Looking at how well this approach works in those stories, it is a shame that Rozum did not employ it more frequently. The Curse of Frank Black is a phenomenal piece of television, and an episode that demonstrates the raw potential of the approach that Glen Morgan and James Wong have adopted towards Millennium, making the show feel (simultaneously and paradoxically) more intimate and more epic. It is a show about the end of the world, but where the end of the world can be conveyed through the late night wandering of an old man on Halloween. It is a superb piece of work on just about every level. The Curse of Frank Black is, in a many ways, the perfect encapsulation of many of the themes and ideas that Morgan and Wong have played with over the years. 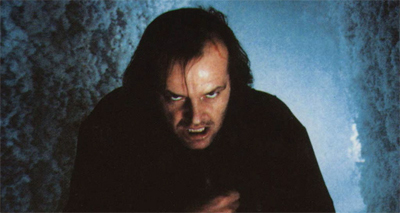 It is constructed in the style of a classic horror film, but is driven by character. As with Scully in Beyond the Sea, Mulder in One Breath, and McQueen in The Angriest Angel, Frank Black finds himself facing an existential crisis at the darkest moment of his life. What will Frank do when faced with the most horrific of possibilities? What does anybody do when they are confronted with the end of their world? Morgan and Wong are fond of putting their characters through the metaphorical crucible, seeing what happens when the foundations are eroded and the support framework is taken away. The Curse of Frank Black suggests that there are only two possible options when the world falls to pieces: either you stand safely on your side of the line and watch it happen, or you pick up a bucket of water and start cleaning up. It is a simple choice, an elegant metaphor, and it sits at the heart of The Curse of Frank Black. The Silent Blade is filler – one of those short stories that Topps produced as promotional material for wider consumption. In this case, as with The Pit, The Silent Blade was written as a short story to feature in the summer issue of The X-Files Magazine. Writing a short story is tough. In some respects, writing a nine-page comic strip with a clear beginning, middle and end is harder than plotting a full-length issue or an entire arc. There is only so much space available, particularly when dealing with an exposition-heavy franchise like The X-Files. It can be tough to fit all the necessary ingredients in, let alone to put a novel twist on them. The temptation is to try to do too much with so little. 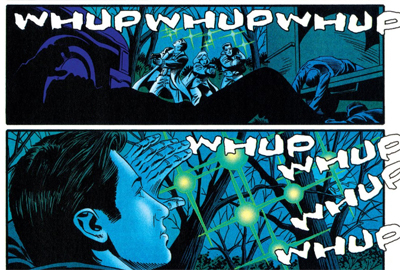 Writer Stefan Petrucha and artist Charles Adlard had generally done well by their short stories, treating them as light and throwaway. They were not the strongest stories of the run, but they were aware of the limitations of the format and the expectations of the target audience. They were functional pieces of writing, aware of the limitations of the form. 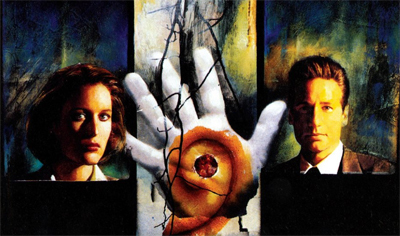 John Rozum’s first (and only) abridged X-Files story strains against those limitations. 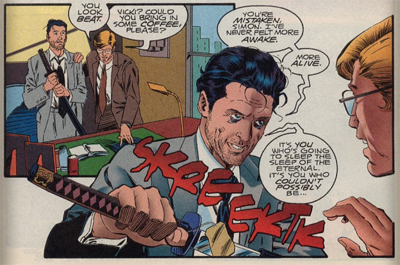 After all, Rozum’s script for Thin Air had tried to fit too much into a full-length issue, so it makes sense that The Silent Blade is also a little too busy for its own good. This would be the last feature that Topps would produce for The X-Files Magazine, and the last of these sorts of short stories. Peter Milligan’s run on Detective Comics was cut unfortunately short. After writing six issues of Detective Comics, the writer felt a little over-stretched, and so decided to concentrate on more personal projects. While that’s entirely understandable, it’s also a little unfortunate. Milligan’s work on Batman is rather underrated and often overlooked. 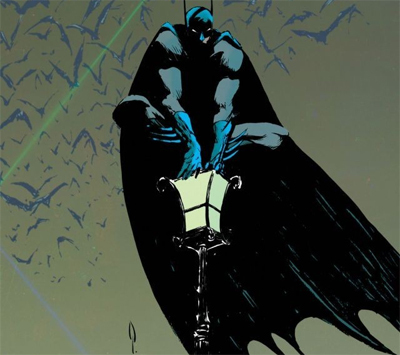 Grant Morrison’s decision to build some of his extended Batman run off Milligan’s Dark Knight, Dark City helped bring some exposure to Milligan’s work on the character. 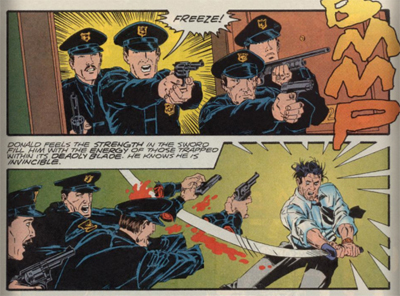 Despite the brevity of his run, Milligan is incredibly influential when it comes to the character of Batman. His work prefigures a great deal of the nineties. 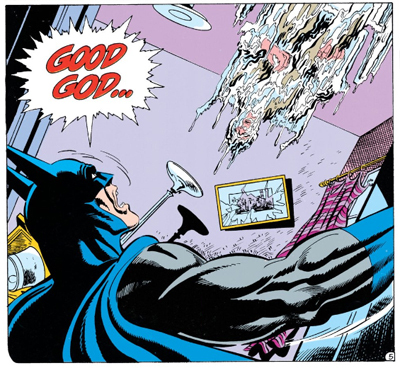 The way that Milligan seems to play Detective Comics as an existential horror story feels like it sets the stage for the extended collaboration between Doug Moench and Kelley Jones on the main Batman book during the mid-nineties. Although he didn’t stay to see the idea through, Milligan did play a (very) small part in the development of Knightfall. However, perhaps Milligan is most influential in his portrayal of Gotham itself, offering us a damaged Batman protecting a haunted Gotham.